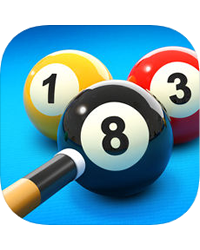 There are a total of 144 achievements in the Smartphone App 8 Ball Pool. We have all achievements and conditions in the guide. So if you want to unlock 100% Achievements you can get tips below. Awarded for ending in the Top 100k at the end of the event. Awarded for ending in the Top 100k at the end of the Dublin Pub Championship. Abu Dhabi Championship – TOP 100: Awarded for ending in the Top 100 at the end of the event. Awarded for ending in the Top 100 at the end of the Dublin Pub Championship. Abu Dhabi Championship – TOP 100K: Awarded for ending in the Top 100k at the end of the event. Be a member of a Club! Become a ranked member within a Club! Invite a friend to a Club! Be in a Club with 50 members! Lost on Hi-Lo, bravery has a price and this is it! Win the top prize on Hi-Lo! So close, so far. Lose on the last call on Hi-Lo and this award is yours! Won the Official 8 Ball Pool Forum Cup!